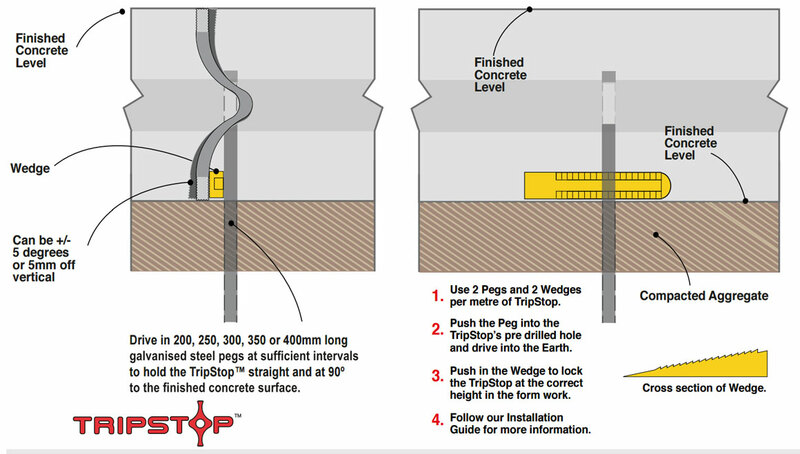 TripStop can be installed by anyone who can lay concrete. You can even screed off TripStop. In most cases, it takes less time to install a piece of TripStop than it does to do a dummy joint. Its far quicker than installing a Dowel and easier than any expansion joint. No flimsy metal or plastic Key joints and no painful Inserter Bars that require cleaning are used installing TripStop. Be installed strictly to guidelines provided by TripStop. Not be installed out of tolerance TripStop or it will void your warranty. Run the full depth with no more than a little slurry under the joint, full width of the slab and must finish flush with the surface of the finished concrete. (We suggest not to edge the joint). Have up to .2 inches clearance at each end of the TripStop to allow for an edging tool to be passed without interruption. Be installed to within +/- .2 inches or 5 degrees of vertical as illustrated. When installed in straight sections of pavements, be installed to ± 1.2 inches per foot of width from a right angle to the length of the pavement. 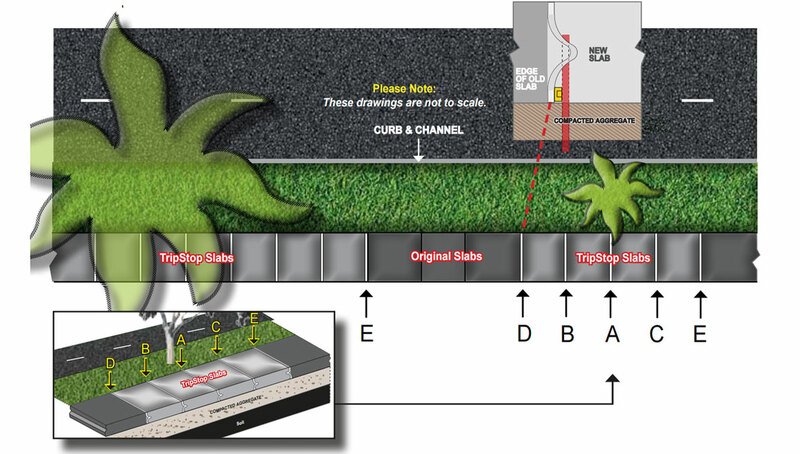 In curved pavements install the TripStops radially to the curve. They should be installed to ± 1.2 inches per foot from the radial line.